If you are unhappy with the appearance of your current breast implants or have experienced a problem with them such as a rupture or capsular contracture then this surgery may be right for you. We have a close network of expert breast surgeons throughout the UK who specialise in implant removal and exchange and can advise you on the most appropriate corrective surgery for your individual needs. There are a number of different treatment options available to you depending on your desired look and the condition of your current implants. During your free pre-operative consultation you will be able to discuss all of these options to see which approach will be suitable for you. You will also have the opportunity to attend a sizing appointment to see various shapes and sizes of breast implants if you are undergoing an exchange. This will give you the best possible idea of how you may look following your breast implant removal/replacement operation. Aurora is now part of The Private Clinic, please click here to find out more about Breast Augmentation and The Private Clinic. 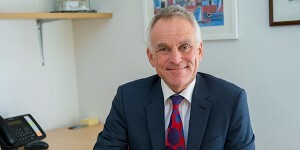 World-renowned plastic surgeon Mr Adrian Richards is part of The Private Clinic expert team. The procedure itself will be similar to your initial breast enlargement surgery. It is normally performed under a general anaesthetic and can take between 1-2 hours to complete. You will also be required to stay in the hospital overnight following the procedure. In most cases, your surgeon will use your old scar to remove the old implant. If you have decided to increase the size of your existing breast implant your surgeon may need to perform an internal release of the breast capsule surrounding your breast implant (capsulectomy). This will make more space for the implant and can improve the appearance of the cleavage area. If you are undergoing breast implant removal and replacement surgery the biggest benefit is peace of mind that old or problematic implants are no longer in your body. Having breast implants that ‘fit’ with your body shape and lifestyle can also have a big impact on your self-esteem. Should I have a breast implant removal or replacement? This is a very common question and the answer really depends on the look you are trying to achieve and the reason for removing your original implants. If you are removing your implants because they are faulty or have come to the end of their lifetime then you will likely have your implants replaced as you like their appearance. However, we are seeing an increasing number of women removing their implants and going back to their natural appearance as they no longer like their bigger bust. One thing to keep in mind is that if you are removing your implants completely, particularly from a large implant, then you may be left with excess skin so your surgeon may advise on an uplift procedure. However, in most cases this is not necessary as the skin retracts fairly well following removal of your implants. What are my options if I want to remove my breast implants? All of your options can be discussed with your Plastic Surgeon during your initial consultation. Do I have to see the surgeon who did my original surgery? No you don't have to see your original surgeon, however, if your implants have ruptured or you have developed a problem such as capsular contracture we would advise that you see your original plastic surgeon. This is because they will have all of the necessary details such as the make and size of your breast implants which will allow them to make an informed decision on what the best course of action is for you. However, if you want to see a different plastic surgeon this is not a problem. It is helpful in this case to know details such as the size and type of your current implants and any other relevant information that may help your new surgeon create an appropriate treatment plan for you. If I don't have my breast implants replaced will I be left with saggy skin? This is probably the single biggest concern from patients wanting to remove their breast implants. The honest answer is that initially you will feel and look empty which can be quite a shock if you're not prepared for this. However, your skin retracts very well and approximately 3 days after surgery your breasts will start to regain the shape they had prior to your breast enlargement surgery. In fact, less than 50% of our patients who think they’ll need a breast uplift after implant removal actually require it. For more information on what your breast implants will look like after removal click here. If I am having my breast implants replaced is this done in one or two surgeries? In most cases, we would do a removal and replace in one single surgery. The only reason we would do two separate surgeries is if you had an issue such as an infection. In this case, your surgeon may advise that you have surgery to remove the implant and let the infection clear for a minimum of 3 months before having the implants replaced in a second procedure. Is the recovery the same as my initial breast augmentation? You will actually find that your recovery will be slightly better than when you had your initial breast augmentation. This is because your tissue and skin has already been stretched. The same aftercare will apply as your first breast enlargement surgery. Most people are able to carry out light duties the day after the operation. Strenuous activity, however, should be avoided for at least 4 to 5 weeks. Most people will be able to return to work within 2 weeks although you may need slightly longer if your job involves performing physical duties. My breast implants are over 10 years old, do I need to have them replaced? There is a common misconception that implants have to be replaced at the end of their lifecycle. This isn't the case if you haven't experience any issues with them. It is important to be aware that you only need to replace your breast implants if you are actually experiencing a problem with them or dislike the way they look. The possible complications and side effects following surgery are similar to those of a breast enlargement. As with any operation there is a higher risk of complications such as capsular contraction with any corrective surgery. The French Government has decided to ban certain textured implants how does this affect me? 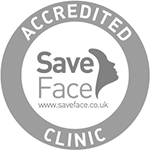 The Private Clinic follows the latest UK regulatory advice from the Medicines and Healthcare Products Regulatory Authority (MHRA) and the British Association of Aesthetic Plastic Surgeons (BAAPS). Based on this and other relevant agencies, we regularly review the types of breast implants we offer to patients. We advise any patients with new symptoms such as swelling or pain to contact their implant surgeon for specific advice, otherwise they should make a routine appointment with their GP when available to discuss their concerns. We would encourage women to continue to self-examine their breasts as a matter of good health. Should you notice any changes, feel any discomfort, or have any other concerns then please contact The Private Clinic and we will arrange for you to see your surgeon or consult your General Practitioner (GP). The majority of patients in the UK with breast implants will have textured surface implants in their breasts. According to all the latest scientific data these remain safe devices and there is no indication for any woman to consider removing or replacing their implants. Patients should continue with any planned follow-up they have arranged. View our Breast Implant Removal and Replacement Before/After photo gallery.